Click start à Run and type GPEDIT.MSC – this opens Group Policy editor window. On the left side à expand Computer Configuration à Administrative Templates àSystem. Locate the entry for turn auto play off on the right side. Double click it and select ‘Enabled’. Step 3: Now browse to any drive that is infected with Autorun.inf virus using winrar explorer. Step 4: Here you will see all the hidden files under winrar for that particular drive. Step 5: Look for the file Autorun.inf and open it using notepad. Step 6: In that Autorun file, some .EXE file will be mentioned that will be executed along with the autorun file. This exe file is the main culprit. Step 7: Note the exe file mentioned in the Autorun.inf file. Close this Autorun.inf file. Step 9: Restart your Operating System. Now your system is free with Autorun.inf Virus. 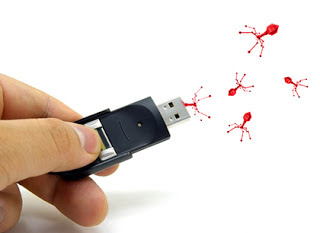 Note: Repeat the same process if your Usb or Pendrives are infected with Autorun.inf virus.